I headed straight away from Changi International Airport to Ah Hood Gardens. I found the unit where I would be staying, yes. But unfortunately, my contact person wasn’t there yet. He and the main tenant had a miscommunication about me and my intention to stay there with them. In addition to that, I wasn’t allowed yet to enter the room where I should be lying that time. So, the only sensible thing I can do that time was to wander around somewhere else. I set off to meet my friend Ariane. We met at Chinatown station. 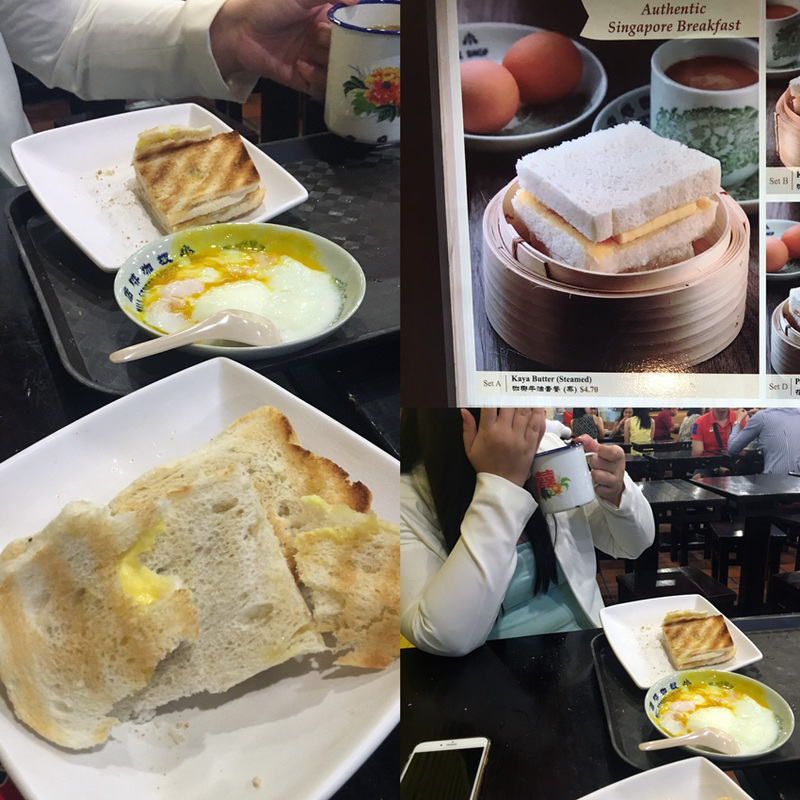 A warm welcome was given to me and she even treated me Kaya Butter Toast, an authentic Singaporean breakfast. We talked about life, work, advices, and whatever random things our mind came up with. It was reassuring to have her and I am really thankful to her for helping me. The food was really delicious. I was savoring every bite I took. When her lunch break was over, I accompanied her on her way back to their office. The weather was still humid although the rain had just poured down. There were chains of stores which sell assorted souvenir items along the way. It was awesome to see a place like that. I didn’t take any pictures as I was just feeling the moment I was there. 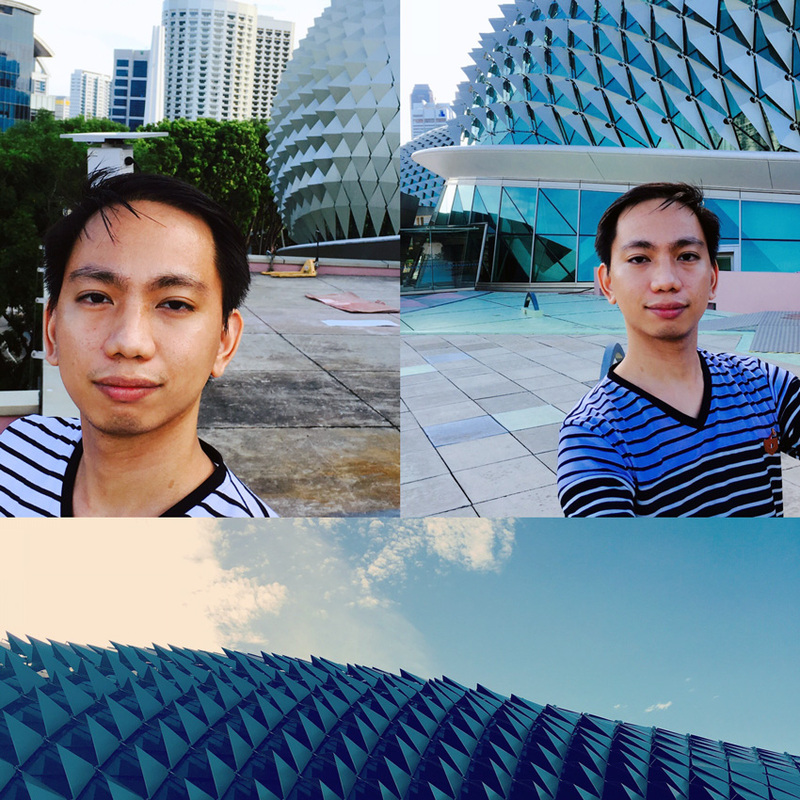 Then I strolled around Plaza Singapura in Dhoby Ghaut. 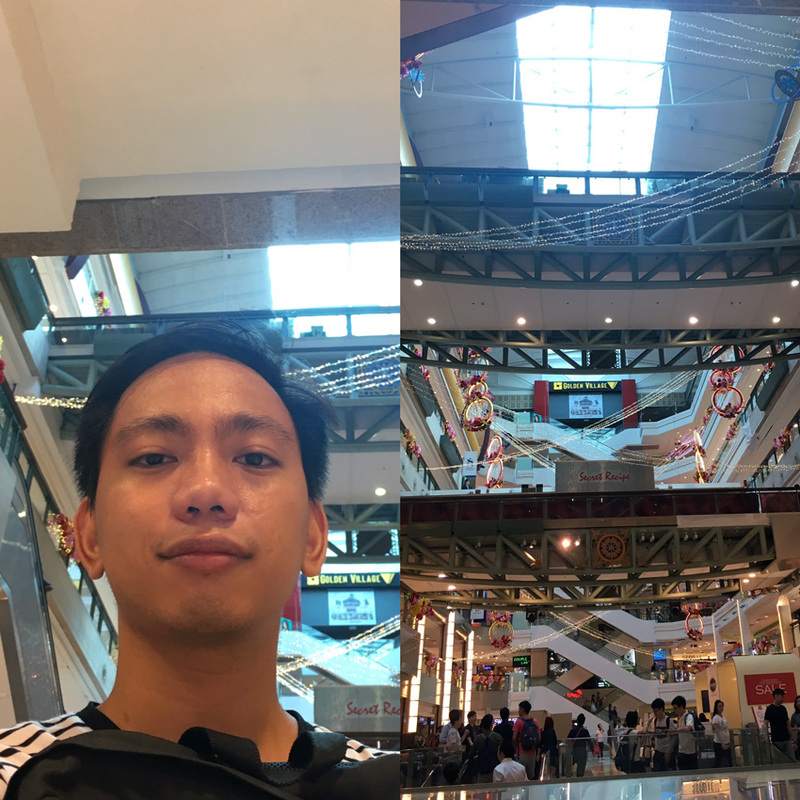 I recharged my energy while making myself comfortable with the mall’s air-con. Before, I thought that there was already a surplus of shopping centres in the Philippines. But being here, I realized that they were more excessive in this country. Moving on, I rode a train to visit another vicinity. I didn’t have a wi-fi connection nor a data plan. I barely knew the tourist spots so I just walked as much as my feet would have let me. Whenever possible, I asked kind people around for directions. Later on, I saw Esplanade Mall and went inside it. Its exterior was uniquely designed, it was a durian-inspired structure, as I had read. I had the chance to tour inside. 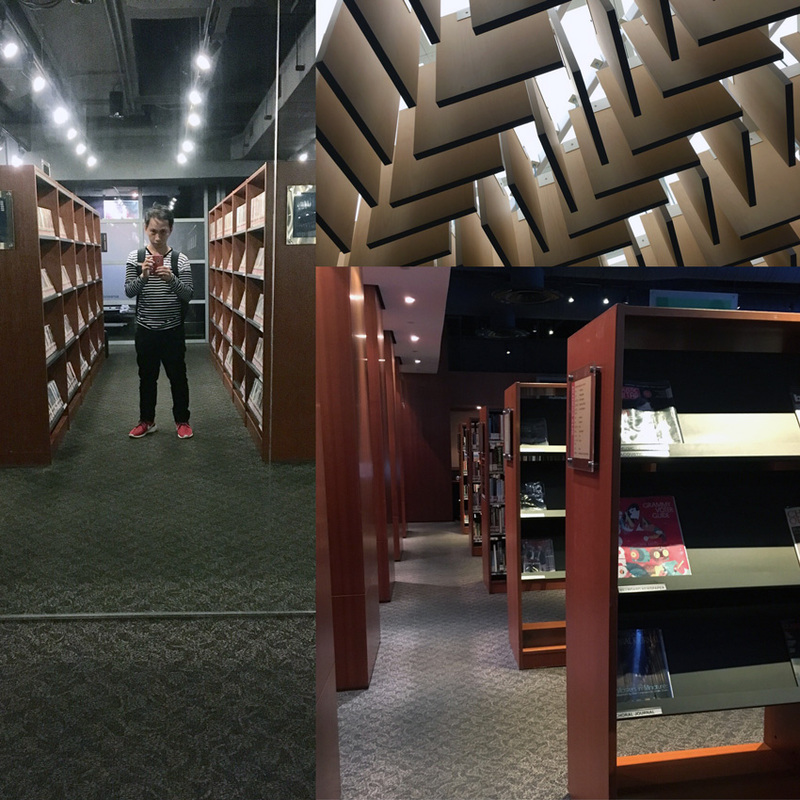 They have an art library, museum, concert hall. I even had the guts to go on their rooftop and take a selfie. 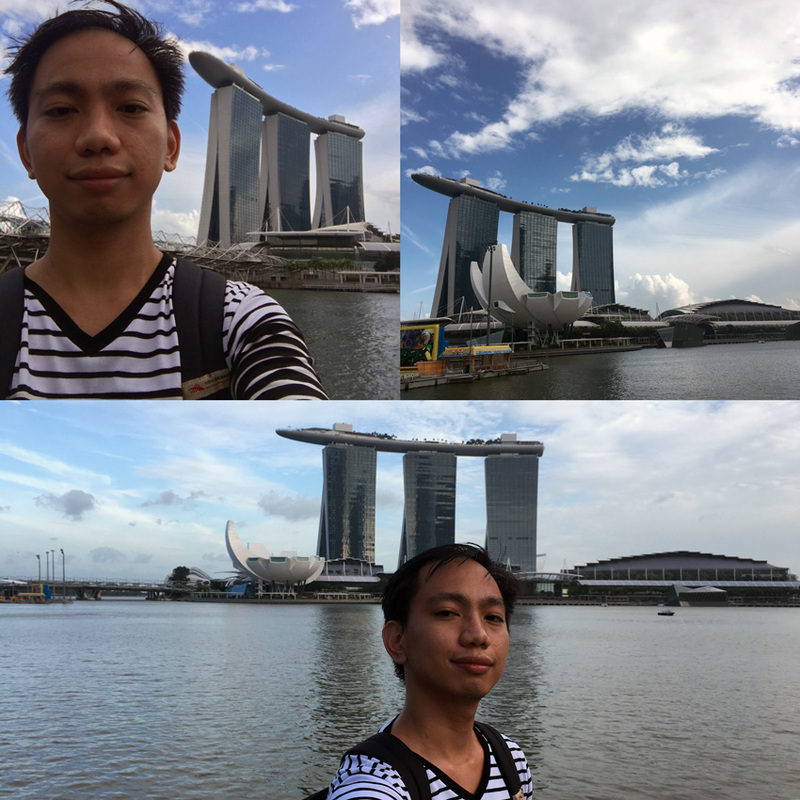 Few minutes later, I strolled around Marina Bay, Merlion Park, and nearby places. My legs started to ache, telling me to stop for a while. Then there I was. Sitting on a bench. Sweat dripping. Killing my time. Waiting for the hours to pass by. Pondering about what was yet to happen. It was my first day. My initial plan was to prepare and plan for the coming days. But an unexpected thing happened. Nevertheless, I made the most out of it and went to several places as much as I could. Moreover, I was just thankful that I was already here, having the time of my life, appreciating everything. It was a liberating experience. Night came and I have to go. I was already tired and hungry. I went back to Novena and ate noodles for dinner. Then outside, at the bus stop, I asked a man what bus should I take to Ah Hood. I listened attentively as I never want to get lost. Luckily, I found the right bus stop and was able to ride on the right bus. But, I didn’t know where to alight! When I felt that I was already far, I just went down to the next stop. Again, I asked several people for directions. After about half an hour, I was relieved to see the HDB. Then, I had waited again for another thirty minutes or less for my room mate. Finally, I was already allowed to go inside the room and make myself comfortable. A lot of memorable events happened on my first day. What more on the coming days? This entry was posted in Space Travel and tagged adventure, dream, merlion park, singapore, travel, world. Bookmark the permalink. 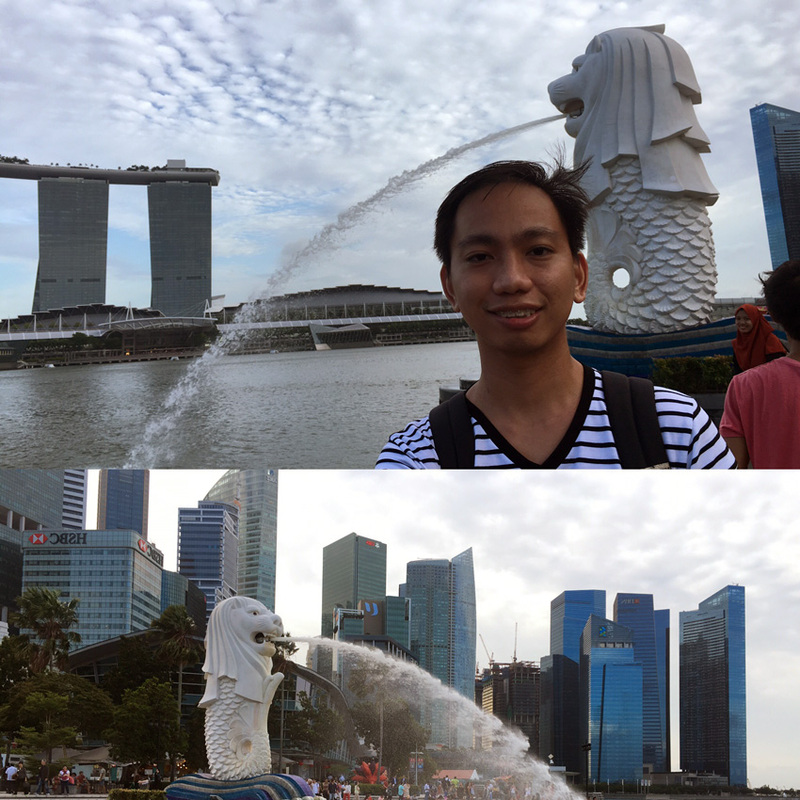 ← First Out of the Country Experience: Hello Singapore!